If you’re considering booking your first ever cruise holiday, congratulations are in order. Cruises are a great way of seeing the world, offering fun for the whole family and the chance to create memories that will last a lifetime. However, before you book your first ever cruise, you should make sure you’re selecting the best option for you. With thousands of choices available, it can be easy to get confused. This guide will talk you through how to choose the right cruise for your holiday. Going back a couple of decades, most cruises took place in the Caribbean. However, cruises are now a worldwide holiday option. Sites, such as www.cruisedeals.co.uk, allow you to book cruises around the globe, from Russia to South America, so do your research on where you’d like to travel before you book. In 2016/2017, figures show that almost 5,000,000 travellers passed through the port of Miami, while almost 3,000,000 went through Shanghai. Cruising is now a global business and there’s no limit to the places you can venture to and explore. If this is your first cruise, you may also want to consider some destinations closer to home and build up to an exotic destination. This way, you can make sure that cruising is definitely right for you before you set sail around the world. Once you’ve selected where you’d like to visit on your cruise, it’s important that you do your research on what the weather will be like at various points of the year. For example, although the Canary Islands may offer you year-round sunshine, some parts of the world, such as America and the Caribbean, are prone to tropical storms in certain seasons, so they may be best avoided at those times. Likewise, you may find that some destinations, such as the Baltics, may be too cold for you in some seasons. Meanwhile, you may find that some destinations are too warm. For example, temperatures in the Middle East can reach over 50°C in the height of the summer months! Once you’ve decided where and when you’d like to go, you need to decide how long you would like to visit for. If you’re visiting the Caribbean, for instance, you may decide that you need to stay for two weeks in order to see enough of each island (many ships stay at each island for a day before moving onto the next overnight). Whereas, should you decide to visit continental Europe, you may decide that a week is sufficient. It’s not unknown for some operators to offer cruises that last for 100 days and take travellers all the way around the world! The choice of how long you’d like to stay on a cruise ship is completely yours. Cruises are a great option for couples, but many families also embrace cruise culture. As a result, a number of different cruise ships appeal to different types of traveller, so you can select one that suits your style. 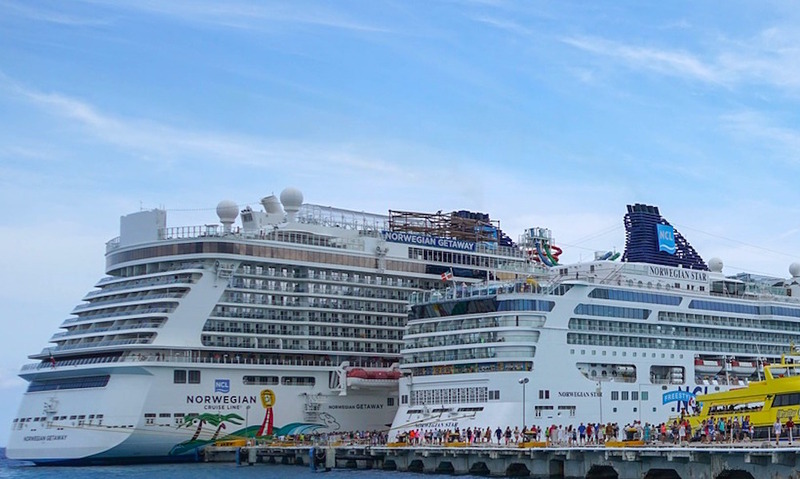 If you’re looking to meet new people and take advantage of all the fun that cruises offer the whole family, then a large cruise liner that can fit thousands of people is probably the best option for you. However, if you’d like to get away from the action, you can also find a number of smaller cruise ships. If you’re planning a romantic escape, many of these are also adults-only. Once you have a destination and you’ve decided on the time of year and a duration, it’s time to fix your budget. With a cruise, you’ll often find that you have a range of packages available, including full board and all-inclusive packages, some of which include your drinks. With many of these all-inclusive options (particularly the ones that include drinks), your cruise may appear expensive, but remember that with this option, you’ll often have paid in advance for everything you need while you’re on board, including all of your food, drinks and entertainment. Finally, once you’re all booked, all you’ll need to do is plan your exciting itinerary. Large cruise ships often include plenty of activities, including magicians, dancers, sports and even West End shows. So make sure you plan what you’d like to do in each location beforehand because, with so much fun to be had, it can be easy to never leave the ship! Cruises are an incredible way to see the world and, if you follow these steps, you’re sure to find an option that’s perfect for your first cruise holiday.